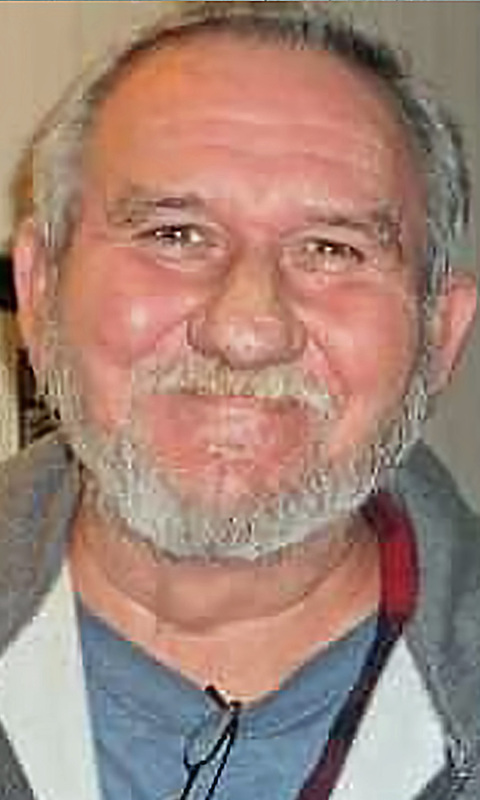 Roy Kenneth Brooks Sr., age 66, was called into the presence of the Lord at 8:45 a.m. Saturday, April 6, 2019, at the Springview Manor Nursing Home. Roy was born September 22, 1952 in Spartanburg, SC, to the late Roy L. Brooks Sr. and Nancy (McKee) Brooks Roberts. Roy grew up in Spartanburg, South Carolina until the age of fourteen, when he moved to Chicago, Illinois to live with his father. Roy was a carpenter by trade and loved to build things. He enjoyed fishing, swimming and anything to do with water. Roy especially loved spending time with his grandchildren. Roy was blessed with four children, Rachel (Kenneth) Engle of Bellefontaine, Linda (Fred Jr.) Crawford of Waynesfield, Mary Brooks of Lyman, SC, and Roy Kenneth (Monica) Brooks, Jr. of Waynesfield; sixteen grandchildren, Amber (John) Carey, Ashley Ewing, Simon Engle, Logan Engle, Samuel Engle, Cheyenne Engle, Christina (Chris) Guffey, Fred (Melissa) Crawford, III, Amanda (Tim) Pence, Alex (Nathan) Swaney, Shawn Crawford, Paige Crawford, Jenna Crawford, Timothy Ferryman, Jr., Kyle Ferryman, and Lane Brooks; sixteen great-grandchildren, two brothers, David Brooks, Roy (Michelle) Brooks Jr; three sisters, Jeri (Doug) Shepherd, Nancy Brooks, Millie (Bo) Hodge and a brother-in-law, Marty Kuber; many nieces, nephews and cousins. He is preceded in death by his wife, Rita (Russell) Brooks; his grandmother who raised him, Leaky Ann Gentry Brooks; sister, Joanie Kuber and great-granddaughter, Kasey Caroline Swaney. A celebration of life service will be held at 3:00 p.m. Saturday, April 13, 2019, at Waynesfield Baptist Church, 512 N. Westminster Street, Waynesfield, Ohio, 45896. Pastor Don Smith will officiate the service. Condolences may be expressed to the family at www.chiles-lamanfh.com.